UPDATED: Wed., March 14, 2018, 8:43 a.m. Capping a season of adversity, Washington State is parting ways with women’s basketball coach June Daugherty. Athletic director Patrick Chun announced in a release on Tuesday that Daugherty, WSU’s coach the past 11 seasons, will not return next year. Chun gave no reason for Daugherty’s departure, and no press conference is scheduled. A national search will begin immediately, Chun said. The 61-year-old Daugherty went 130-218 and reached the WNIT on three occasions. Following an amendment approved last year, her current contract was to expire on June 30, 2022, according her agent John Meadows. A year ago, the Cougars reached the semifinals of the WNIT despite season-ending injuries to Borislava Hristova, Chanelle Molina and Louise Brown. Returning all five starters and a handful of rotation players, WSU was expected by some to contend for its first NCAA Tournament berth since 1991. But picked to finish seventh in the Pac-12 this year, WSU struggled from the outset. The Cougars went 10-20 overall and 3-14 in conference play, with the regular-season finale against Stanford canceled following the unexpected death of longtime trainer David Lang. The season ended with a 47-44 loss to USC in the first round of the Pac-12 Tournament. In January, Daugherty took an indefinite leave of absence. Citing an undisclosed medical issue, she left her duties to her husband Mike Daugherty, WSU’s associate head coach. 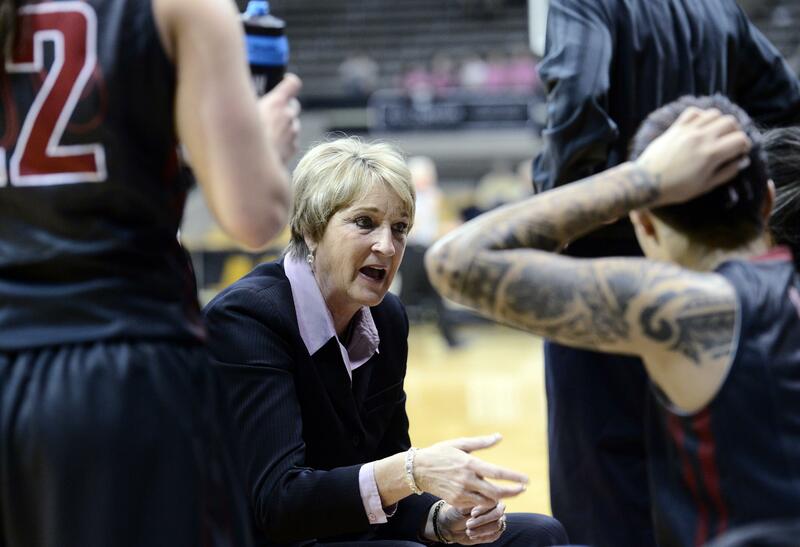 WSU didn’t clarify whether or not Daugherty’s health concerns were a factor in her departure. Also hampering the team, the Cougars briefly suspended three starters – Caila Hailey, Louise Brown and Nike McClure – for an undisclosed violation of team rules. Daugherty, whose career record is 387-360 (.518), has more than 20 years of coaching experience. She began her head coaching career at Boise State, where she coached for seven years (1989-96) and compiled a record of 123-74 (73-31 Big Sky Conference). From there, she moved to Washington, leading the Huskies to a Pac-10 title in 2000. Fired by UW in 2007, Daugherty took over at WSU the next year. Staff writer Theo Lawson contributed to this report. Published: March 13, 2018, 2:17 p.m. Updated: March 14, 2018, 8:43 a.m.